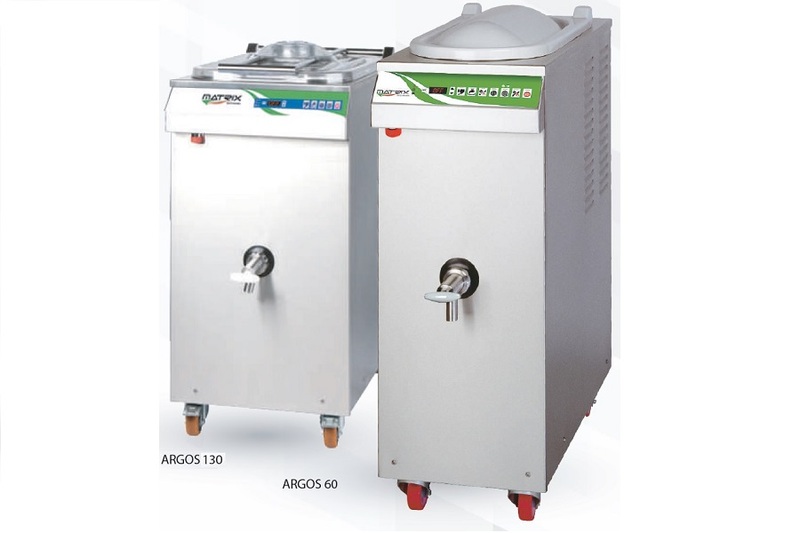 ARGOS is a complete range of pasteurizers that amalgamate, pasteurize, cool and mature the ice cream mix. 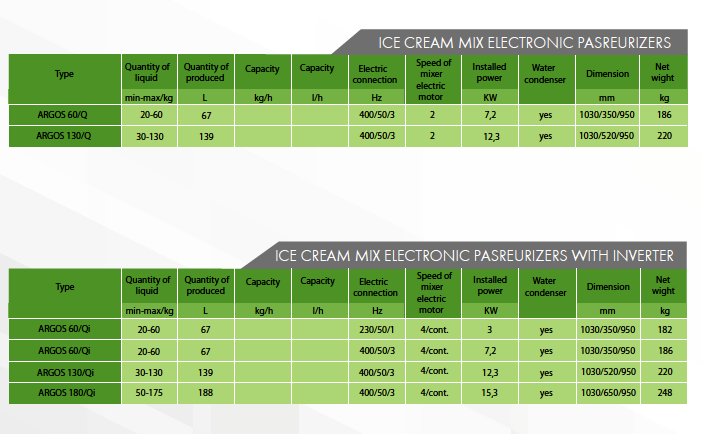 The range ARGOS TecTronic is equipped with modern programming system that allows the ice cream maker to adapt to their needs machine functions, saving the settings under different programs. Some models are also available with simple mechanical controls "M" version. Heating to 85 ° C, rapid cooling to + 4 ° C and subsequent aging with constant temperature control. E 'of the pasteurization cycle most widely used, for maximum reduction of bacterial. Heating at + 65 ° C, pauses for 30 minutes and rapid cooling at + 4 ° C, with subsequent aging. It 'a pasteurization cycle delicate, suitable mixtures without egg and that allows to preserve to the maximum the characteristics organoletiche of fresh ingredients. The ice-cream maker can choose any temperature between 65 ° to 92 ° C, to the achievement of which the machine activates the stop, if necessary, and subsequently cooled to 4 ° C and passes to the ripening stage. This cycle directly activates the cooling system and maturation, useful if you have boiling mixtures from external apparatuses.